Caution … photo overload ahead! In August of last year, I ran across an Instagram post by Angie of Gnome Angel where she shared an upcoming challenge. It seemed pretty straight-forward, if a bit overwhelming. 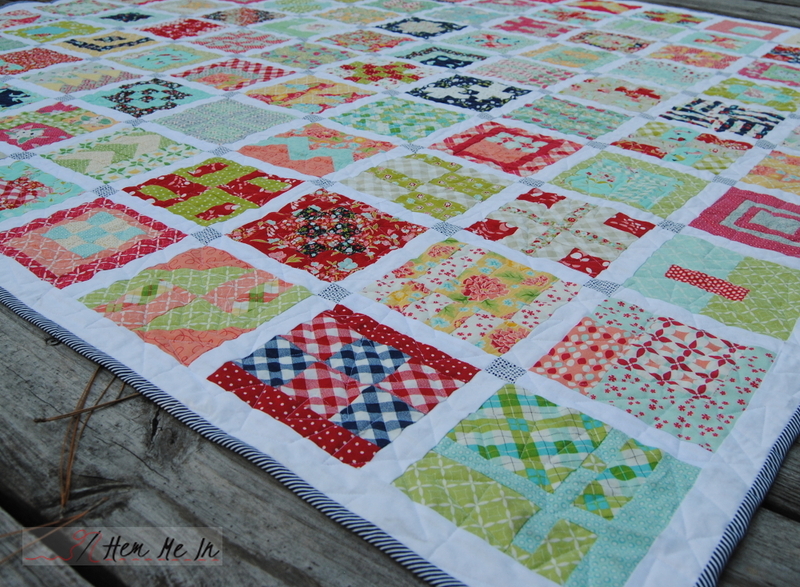 Participants would simply sew one 6″ quilt block each day for 100 days. 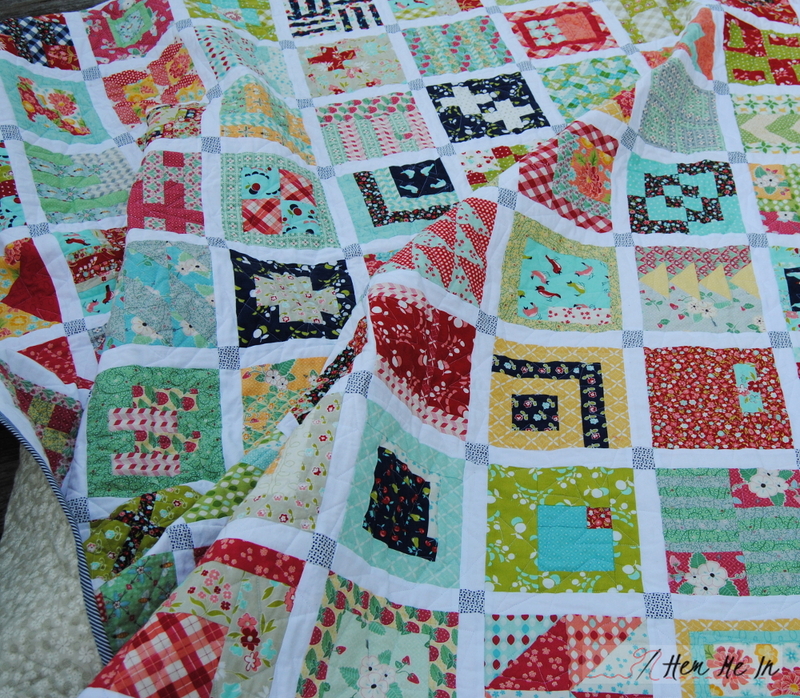 I was doubtful that I could work that into my crazy schedule, but I mentioned it to my husband, and he encouraged me to go ahead and order the book that Angie was using for the challenge – Tula Pink’s City Sampler: 100 Modern Quilt Blocks. I was still not quite ready to commit when the book arrived, and I let the start of the challenge pass by. I started watched the blocks that others were sewing pop up in my Instagram feed, though, and couldn’t resist giving it a try. I still wasn’t sure that I’d be able to keep up, but I figured I would finish eventually. I’m so, so glad that I did!! I learned so much during the 100 days. I tried out different techniques with each quilt block until I found those that worked just right for me. I gained new confidence in my piecing skills with each completed block, and I finished on time! The challenge required that I share each block on Instagram before midnight of the day that it was scheduled. I shared them on my personal Facebook page, too. Before long, I had a cheering section waiting on each block to make its appearance. It was hard at times! We even evacuated for Hurricane Matthew about halfway through, and I packed up my sewing machine, fabric and notions so I could keep up. By that point, I was committed! 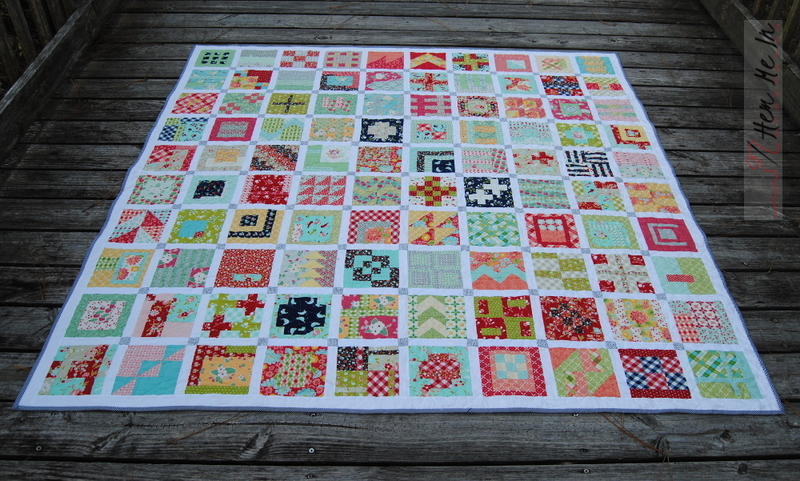 I used three different fabric collections, switching after 25 blocks, and I mixed the three collections for the last 25. 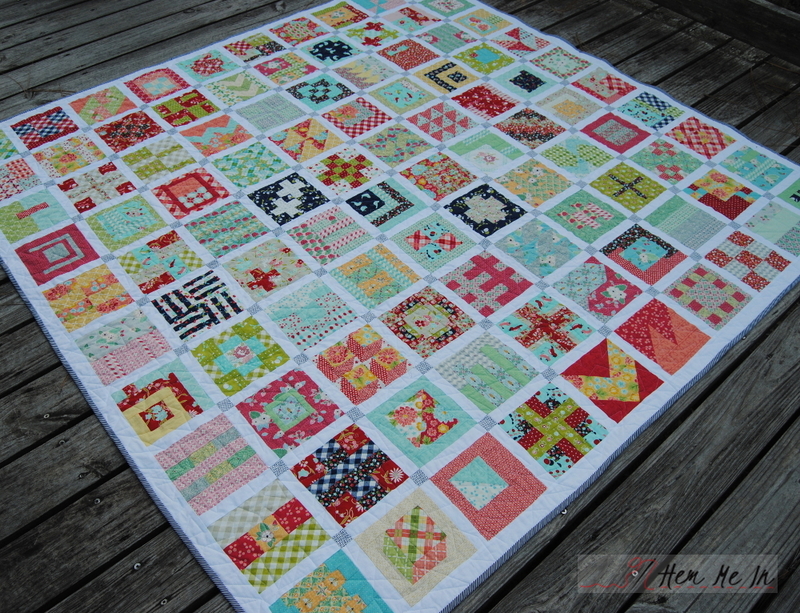 I started with Bonnie & Camille’s Vintage Picnic line, moved on to April Rosenthal’s Summerfest and finished with Bumble Berries by The Jungs. 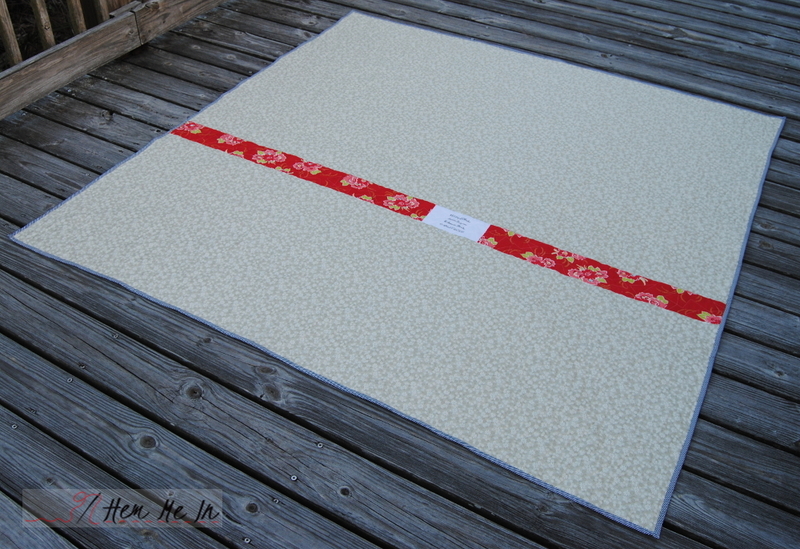 I used white Kona for the sashing and Bonnie & Camille pre-made binding. (As a little aside, this was my first experience using binding not cut on the bias, and I don’t think I’ll do it again. I had a much harder time that usual mitering the corners nicely, and my edges are really bumpy. I’m hoping the bumpiness will go away once the quilt is washed and dried.) 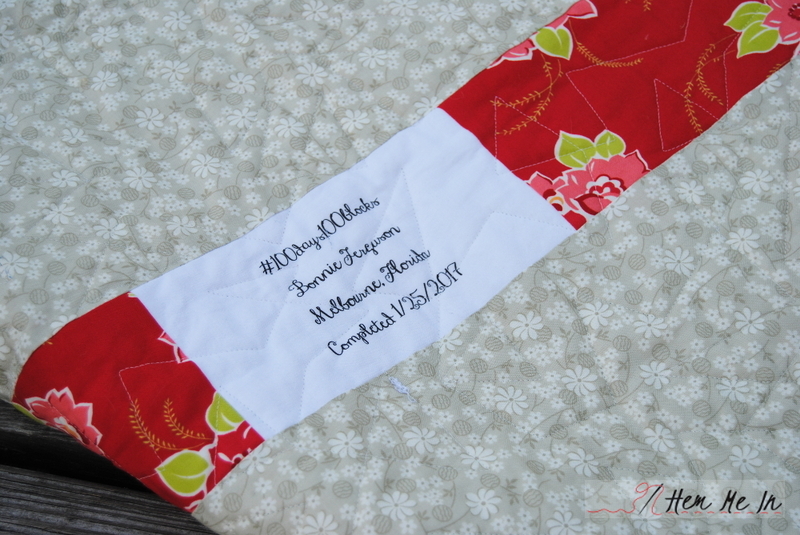 I used a few more Bonnie & Camille fabrics for the back and added a pieced-in label. David from Quilting by David did the long-arm quilting in a geometric pattern called “Triangle”. 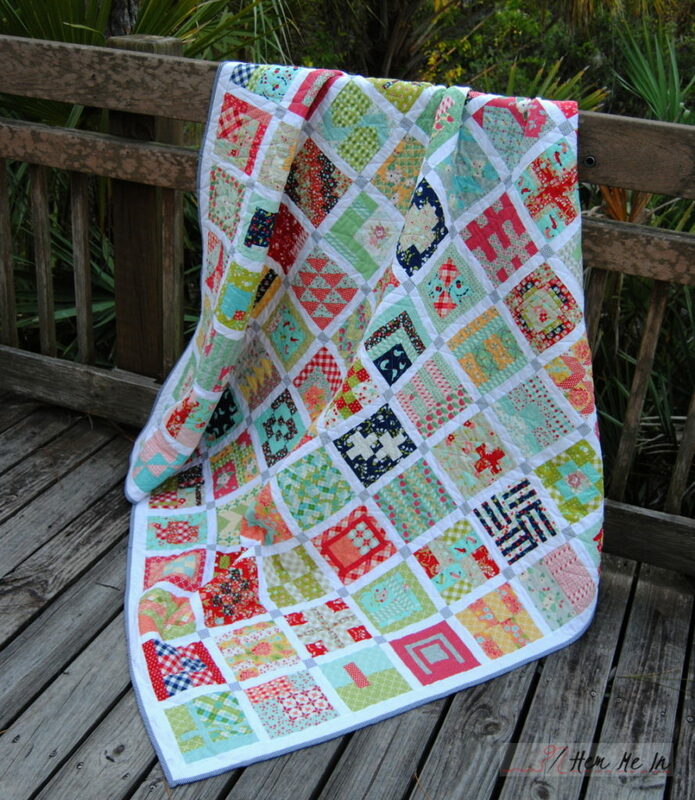 I am in love with this quilt! 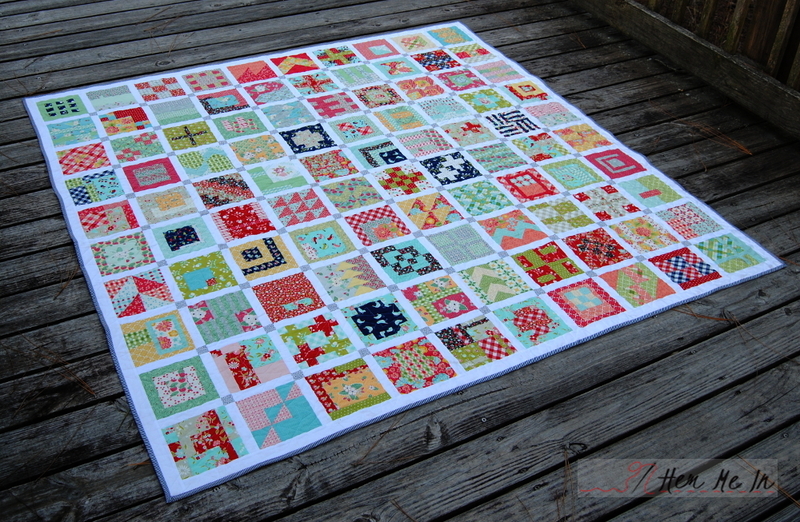 It’s the biggest quilt that I’ve ever made at 72″ x 72″. I’m still not sure if I want to display it or just put it to good use. I feel like it’s a huge accomplishment to have it done, and I want to show it off to the world, but I don’t even have a wall big enough to hang it! 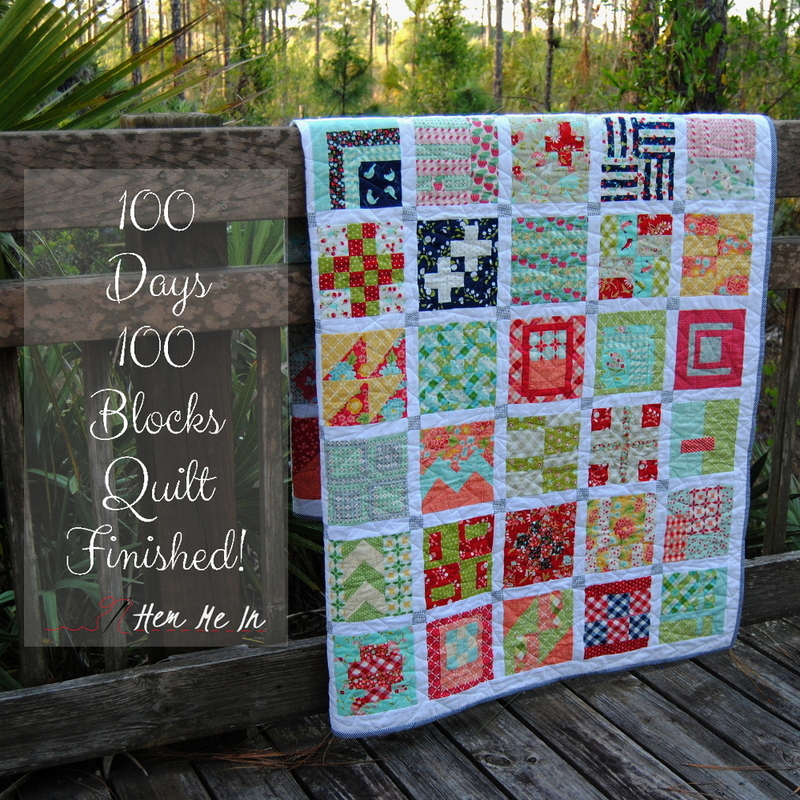 One more thing, Angie has a new 100 Days, 100 Blocks Challenge starting in just under two weeks. I’m not sure yet if I want to do it over again, but let me encourage you if you haven’t already done it, to give it a try! 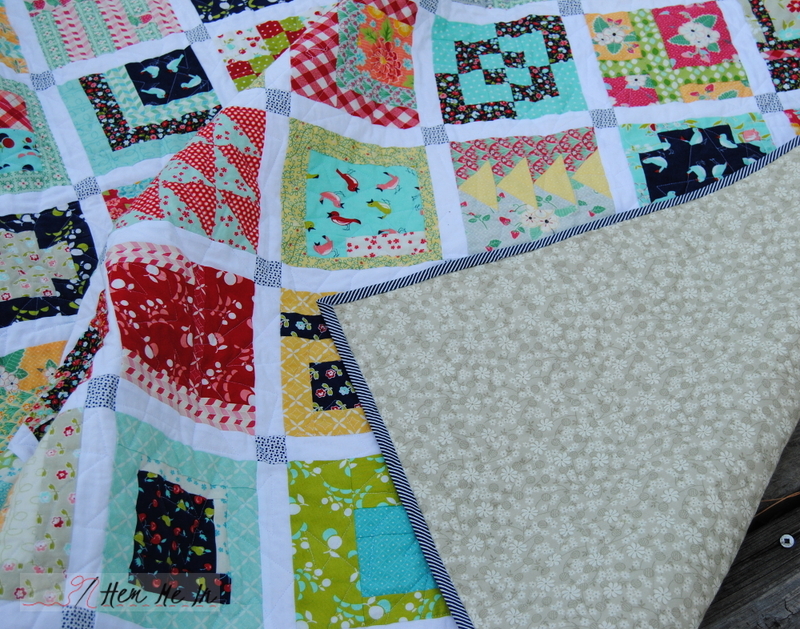 I promise that you’ll learn new things and come away with an amazing sense of accomplishment … and a beautiful new quilt! !